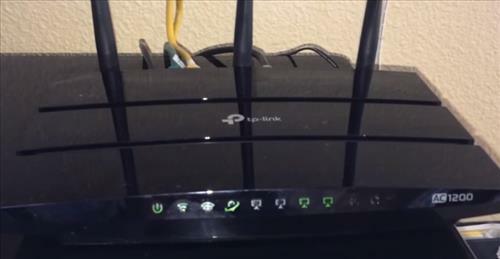 Busy homes and small businesses that have many people sharing the same internet connection, can task an old router, making it crash or prone to errors. Most routers can handle at least 2-3 connections, even 4-5 year old units can manage a few multiple connections. Problems can sometimes happen when more than 2-3 simultaneous connections need to be made. The technology used for routers to talk to multiple devices is filled with buzz words such as SU-MIMO, MIMO or MU-MIMO. The basics idea for a router to handle more traffic is to have more channels open, like traffic lanes so more data can get in and out quickly. MIMO stands for Multiple Input-Multiple Output and can transmit and receive to many devices. The amount of antennas a router has also increases how many devices can be communicated with. MU-MIMO routers have the newest technology for this so if in doubt be sure to get a MU-MIMO router. Here we list our favorite routers for high-end use. As always be sure to read the reviews on Amazon, forums, or elsewhere to be sure it is a good fit for you. The Netgear Nighthawk is probably the best buy for the money in 2019 for a fast router that can manage multiple wireless and wired connections. It has been available for awhile now and has dropped dramatically in price. The NETGEAR Nighthawk R6700 is a top-end router built for speed and to handle many wireless devices simultaneously. 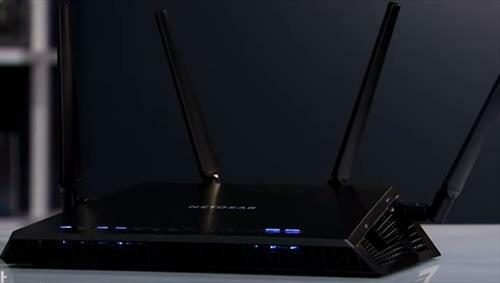 There are different versions of the Nighthawk series of routers from entry-level to high-end office units. The R6700 is a good unit for a busy home or office. It has multiple antennas and is run by a 1GHz dual core processor. It is a good unit that works very well in a busy WiFi environment. TP-Link makes many good routers including the Archer C1200 smart WiFi Router. It is dual band 2.4Ghz and 5 GHz so will be able to talk with most any device old or new. It is also built for speed and multiple connections with three antennas. There are many features built in such as parental controls, setting limits, guest network, along with an app to manage it. 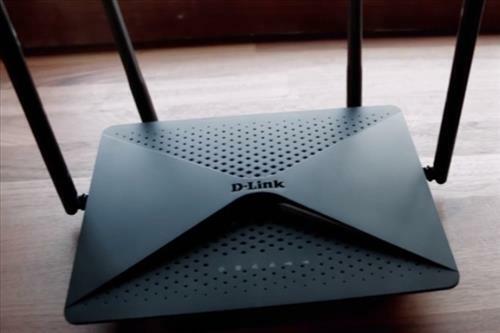 The D-Link EXO AC2600 is another great router that is fast and popular with Gamers. It is dual band with a rated speed of 800Mbps in 2.4GHz and 1733Mbps in 5GHz frequencies. The unit has 2-USB 3.0 slots and 1-USB 2.0 which is great to hook up a external hard drive or flash drive to for quick storage of files on a network. The D-Link EXO AC2600 is a good route that will have no problems with multiple deceives in a busy home or small office. The Linksys AC3200 is a dual band 802.11ac router that has many good built-in features that can be controlled with a smartphone app. It has a 1GHz Dual Core CPU to process and move wireless transmissions quickly. Six antennas come with with the unit (3 external, 3 internal) which allow for more WiFi devices to connect. Many other features are also included such a USB 3.O and four Gigabit Ethernet ports. The Linksys AC3200 prices have dropped from its initial release making it more reasonably priced in 2019. The ASUS RT-AC5300 is a high-end router for those that have a very demanding wireless household. 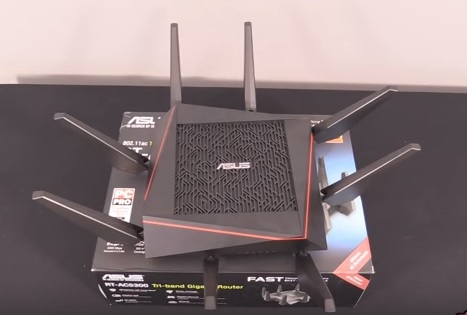 The ASUS RT-AC5300 is a beast of a router with eight large antennas. 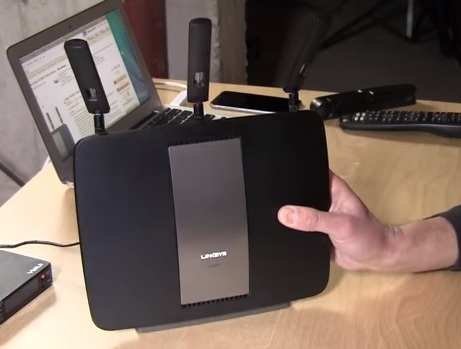 It has the latest 4×4 802.11ac MU-MIMO technology with a combined data rate of 5334 Mbps. The CPU is a 1.4 GHz Dual Core processor along with 512MB of RAM. 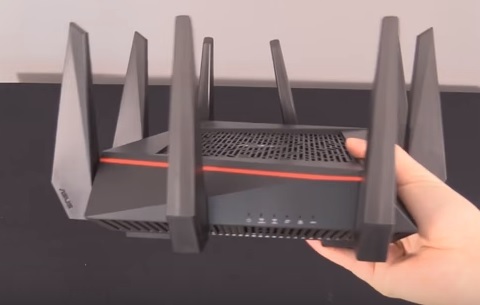 This router is not for an average home and only meant for environments that have a heavy WiFi load. There are many good routers that can mange a busy home or other environments that need multiple wireless connections. Any high-end router built for use with multiple devices will cost more than the average unit. These routers are not for the average home user and their benefits would not likely be needed. If you do have a home full with many wireless devices that is when such routers would be the most useful. SU-MIMO uses many antennas to communicate with many devices at the same time. 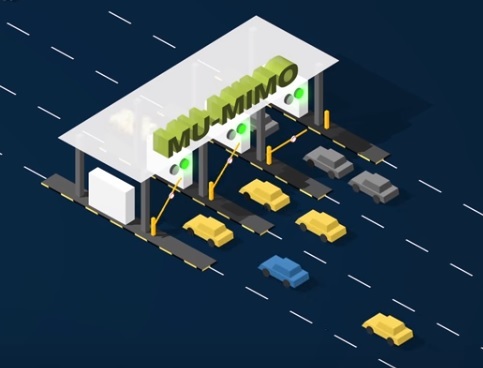 MU-MIMO uses a space-division multiple access technology that allows wireless devices to share the same stream.